It has been three weeks since I sent you the 2011 New Year message . This has become a yearly tradition since New Year 2001 just before a sudden and surprising shift in energy occurred, as mankind was propelled again into a dark tunnel, and a Higher perspective clarification about the global events at play became necessary in order to choose wisely the available probable futures offered to us during this difficult period we are traveling through. That is an important part of what my mission has been here, so far. I thank you so much for your varied and prolific feedback. It expressed a kaleidoscope or expression, beliefs, and freedom of beautiful thoughts. I do learn so much from your comments. I am much honored by your responses, and it did warm my heart. The Kingdom of Nature expressed some odd events on that evening and since then. Many animals’ Life force is being snuffed out massively and suddenly in large groupings. Animals really metaphorically represent Higher aspects of the mechanism of the Divine. For instance, in the ancient and Holy book of the Genesis of this type of Creation, written by the Mind before the inception of this Creation – which is in fact a Highly encoded Creational manual addressed to Humans and especially Higher Creators, references are made to animals, fields, beast of fields, and different types of souls. All these are high level Divine codes, metaphorically explaining this system of creation, positioning of and connection between, for instance, birds (Higher Selves), Fields (of energy), Oceans (of consciousness), beasts of fields (mass consciousnesses groupings) Adamic earth plane (matrices) etc… Every word, combination thereof, and especially every letter, describes the modus operandi of this type of 3D universes. Each species of animals or type thereof is a metaphorical expression to an operational facet of the Creator. Birds symbolize Higher selves connecting contiguous or non-adjacent Upper and lower vibratory bands/worlds (separated vibrational bands of Light/sound frequencies i.e dimensions). Interestingly enough, as of late, many birds, marine mammals and fish are having their life force massively removed as they are made to rejoin the extremely High vibratory world of Light particles extant within the Upper Divine Mother: Mother Nature. Mother Nature, as the Upper Divine and brilliant vibratory Light band Expression of the One and Only, vibrates the supportive elements (natural worlds as holographic so-called material support) of ALL Creations within Her gigantic Mind, so that the individual Creative Sons of the Upper Father (sub-Creators manifesting as Global Consciousnesses of humanities or similar Adamic Beings i.e what we humans call here the God or Global Consciousness of a Creation) can each Dream, project onto, and interact with one type of world/universe, alias planet of operation. The vibratory path of Nature is how the One-and-Only bypasses the level of thought of His sub-Creators (Global consciousnesses, each of one Creation or a grouping thereof), by using the direct media of His Motherly Feminine aspect: The Nurturing realm of Mother Nature who manifests the Holy Spirit of The Holy One across all Creations within Her Unique Solitary Being, who is but One, controlling and taking care of All Creations/Universes at once. Because of the immense amount of highly intricate and complex coordination required to operate all the supportive elements of All Creation, Her Vibratory rate and Intelligence is well above the rate and hence level of the sub-Creators/Global Consciousnesses who are but almost shadowy expression of Herself. All the messages originating from that level should be paid careful attention to. The One and Only and Its sub-Creators, as all the ancients knew, and some indigenous tribes still understand, always and mostly sends messages through the natural world and its celestial bodies, for in truth they are all outer projection and energy maps of the True Real Inner Kingdom energies (Heavens) we carry within. What we perceive in the outer Hologram is but an outer projection of the inner High energy bodies (sub-Creators) we carry, who connect closely or distantly within our sub-conscious (Higher) realms. So-called miracles (such as the ones of Biblical proportions) are only rare decisions by the Creator of a Creation, or the Creator of a grouping of Creations, or – even and rarely so – by the One-and-Only, to break and bend the original crescents of operations of a specific Creation (Physical pre-set laws) in order to achieve an event or send a message. Creators of individual Creations are only allowed some leeway in bending natural laws to their individual Creation. Greater Creators encompassing groupings of Creations can alter Nature even more. And the One and Only can allow Itself to bypass and change ANY pre-set physical law within His mind. He alone has absolutely no restrictions, unless self-imposed by Itself. Much intervention is also done by Remote Influencing the thoughts of Beings/Sub-Creators at Lower Bands/dimensions of Consciousness. So that an active Creator (Global Consciousness of a Creation) can allow Itself to telepathically influence any of Its energy Beings, since everything is Though anyway, in order to correct and balance situations, that is if the level of Creators above allows It to do so. In the same way, a Global Consciousness of many Creations can do the same to His Creators and even to individual beings, if permitted by the One and Only. And the One and Only can of course influence all of Its Infinite Mind. We will address in further communication the way influencing is done, and the difference between direct influence using vibratory Thought which can be usually always be detected by vibrational Light Beings, especially Higher Ones, and secretive indirect influencing bypasses which are accomplished using non-vibratory Thought connections. This knowledge is not yet part of humanity and will be posted in a restricted special area someday soon by our Academy. You may have a totally different way of seeing reality after absorbing this knowledge. Nothing is like it seems. The type of direct thought-to-thought overtaking intervention is seldom used and/or allowed, on purpose, in order to keep the maximum level of free-will possible in proportion with the advancement of the Creator involved. The lesser the advancement a being shows, the more restrictive and narrow the crescents of his/her thought operations are, and the lesser free-will he or she really has, as the being becomes ever more controlled by Higher energy beings operating within higher energy bands who then keep the crescents of operation (matrix codes) vibrating for that level below. I have been tasked, especially since 2004, to ask you to pay close attention to many unusual Natural events occurring and to understand the Higher messages being conveyed. I have written extensively about them in many articles and spoken about the same in many interviews. Because of what is presently occurring, and what is about to meet our reality soon, I am broadcasting for the first time an interview I gave in June 2010 when the Gulf Oil spill had just occurred. In it, I explained the metaphorical meaning of it, its potential resolution and the lesson to be learned. That event is yet to be totally resolved. However, it has required a great amount of secretive and intense Higher Divine intervention outside of the usual cause-and effect-regular natural laws within our planet, in order to avoid what could have become a cascading series of ever growing disastrous chain reactions within the web of life which could have potentially threatened much life. Mankind’s consciousness did indeed temporarily unite around that leaking fracture of dark energy and thence it was made to be patched and much of the dark oil devibrated through the activity of Higher level Creators close to the Core of One. Whether we have really learned a long-term lesson from this man-made earth fracture, seems frankly still greatly in doubt. Many individuals did indeed listen, however the commanding structures of economical operations and their corrupted political ‘cronies’ have a long way to go to change their ways and awaken. Thenceforth as the perception within Higher Planes of Intelligence is that we did not integrate sufficiently the lesson, we may expect other events calling us to take an even harder self-reflective look as to what we are doing to our environment, our bodies, our Motherly womb, which are all the only precious and Holy supporting vehicles to our spirit selves individual expressions. Please pay close attention to what I will now state: The original Real upper worlds are worlds where only meta-phors and meta-physics are considered real and prototypal. These are the Higher programs/blueprints within which we all operate in a lower 3D format. Stories in 3D holographic Creation are only projections of what is considered real and happening on Higher levels where Higher energies engage in such. All lower worlds (universes) are but projections of meaningful metaphors into concocted physical events and stories within local 3D holographic matter unfolding within time/space constructs. Our role is to decode the Higher message and understand the metaphorical meaning in order to evolve by taking appropriate inner and outer action. That is why in ancient times temple priests and scientists were carefully scrutinizing the skies and natural events, not solely in order to learn about the nature of the universe, but rather in order to be able to decode messages sent by the Higher planes. By understanding the metaphors or myths being played out, we can then change their outcome and, in sympathy, the Higher worlds become reorganized around a newer type of system and energy organization. This really means that we, as lower holographic beings, have far more power and potential impact that we can ever imagine. However, if we only see reality, as is mostly the case nowadays, as being played out horizontally on this 3D plane and forget the vertical connection, we are stuck into repeating over and over again similar myths, and become enslaved by them. As was once wisely said in one of the Matrix movies about the nature or reality, when Neo asked the female intuitive facet/the Oracle about what the purpose of life really was if all was predetermined and already known as far as probable choices to be taken? The Higher Feminine aspect answered that his role, as a direct projection of the One, is to “ really understand” why he makes the choices he makes, which means to get a much higher understanding of the world of myths that he is playing, and this is when, and only then, that Neo can literally change the outcome of the myth itself and hence of ALL Creation by choosing a higher game within the multi-dimensional living Creational chess game, through reaching that Higher understanding and engage the Life play from that much Higher perspective bringing untold surprises to the prior repeating lower level movie. In other words, when you get to really get a full and higher understanding of His (the One’s) story and interplay at that level of co-creative writing, you are then not bound anymore to repeat the same myth under different situations, eras, technologies, and projected situations, over and over again. The real and deeper understanding of the motto stating that “if we not learn from History, we are bound to repeat it!” should be that if we do not learn and get a Higher understanding of the Metaphor/Myth being played from His-Story, we are just bound to repeat the same and not reach the proverbial era where we can finally be allowed to create “our story” and not replay the old myths. Ponder about what I just said and meditate on it. In our times many luminaries such as Joseph Campbell ( http://en.wikipedia.org/wiki/Joseph_Campbell ) and others have written extensively about this subject and the odd synchronicities strewn across many perceptually disconnected cultures which oddly express related manifestations of similar root mythologies and Higher metaphors. Although open explanations as to the real cause may be a bit lacking, because of the intense Cartesian horizontal cultural bend of our societies lately, there is plenty of hints within these writings or Carl Jung’s ones about the real upper subconscious root to all this upper sub-conscious connection to myth. The unusual amount of unexplained mass animal death which started in 2010 and recently accelerated since January 1, 2011 should be seen within a higher metaphorical perspective showing that disconnection between life planes/dimensions are increasing and that massive recall of lower planetary life operatives is probably in planning stages from within the gigantic Higher awareness of Mother Nature and Her active Beloved: the Divine Father, under the watchful One Eye of the One and Only. It is due time for us to reconnect to Higher versions of our Divine selves and start playing the game of Life from a much Higher and more aware perspective. I am therefore announcing the broadcast of an interview given on June 24, 2010 right after the blowup of the Deep Horizon oil drilling platform in the Gulf of Mexico. Please listen to it as it contains much material which will help you navigate our times, and seek higher understanding. Why this is the most important period in the history of Creation? What is the best and the worst case scenario? How we can easily change course and make the transition to the best path scenario as a human family? Why technology will be useless and powerless to help solve our dire problems unless we finally let go of our fear programs and choose real bounty? Definition of subconscious mind levels, and their real location. How to connect to the Source Creator and get messages and understandings? The Expansion of the Heart of Creation and Its current contraction around 2012. Real story behind the Mayan calendar 2012 end. Real living Light versus reflected Light. Current acceleration of perceived time. Why is this Creational the riskiest Creational experiment ever attempted? The real meaning of the 2012 event. 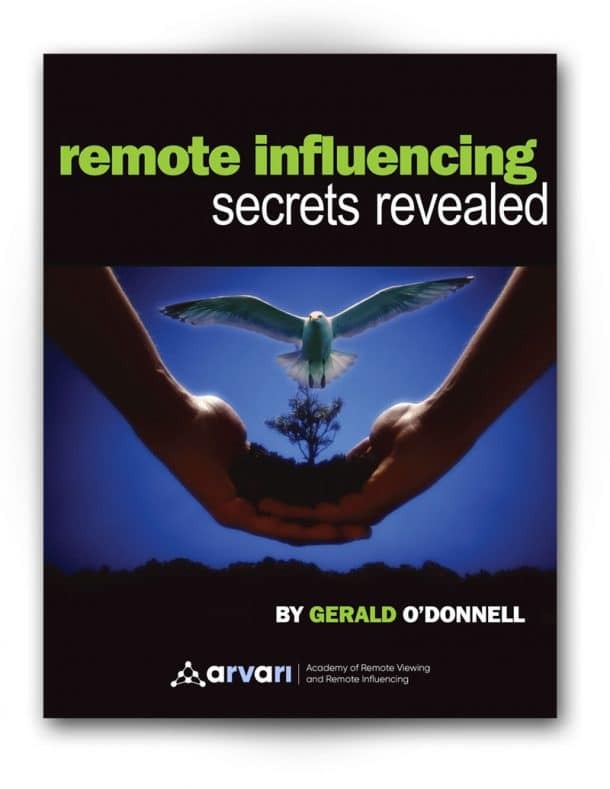 Secret Remote Influencing intervention by levels close to the One: Higher Remote Influencing of Thought and Reality. Decoding the messages sent through the Kingdom of Nature run by the Highest Divine Feminine aspect of the One. Nature as the real on-line bypass to Source. Our focus on bringing dark energy to the surface of our planet and our awareness, and using it as our main primary fuel for life operation. Are the risks worth the destruction it causes at all levels or our beings? What needs to be done in order to erase the inner and outer pollution by the realms of death (underworld energies) streaming up through us, as we invited them out of our free-will, and which are poisoning us and the planet? The real world: The word of metaphors and meta-physics: We are only projected stories from it. Please go to Meta Knowledge interview and sign up to listen to this interview.